A significant aspect of our evolution as human beings is to move from passion to compassion. Almost all of us are passionate about things we love__perhaps in varying degrees. But it is equally important for us to be compassionate. In Urdu there’s a phrase called ‘rehmat ka farishta’. ‘Rehmat’means compassion. ‘Farishta’ means angel or messenger. While passion is an expression of pursuing what’s most important for the individual, compassion involves pursuing what involves another/others. Passion gets us success, compassion brings us peace. Each of us, without doubt, has the opportunity to be a ‘rehmat ka farishta’, an angel of compassion. What better way to explore that side of yourself, than now? A Manic Monday, when you are dealing with post-weekend blues, is great opportunity to be compassionate. Reach out and touch someone who you don’t know today __ may be a hot coffee or soup, may be an old blanket you don’t use anymore, may be a prayer for the one you cross on the street. Just including others in your thoughts is an act of compassion. It can set you off on this wondrous journey called self-realization. 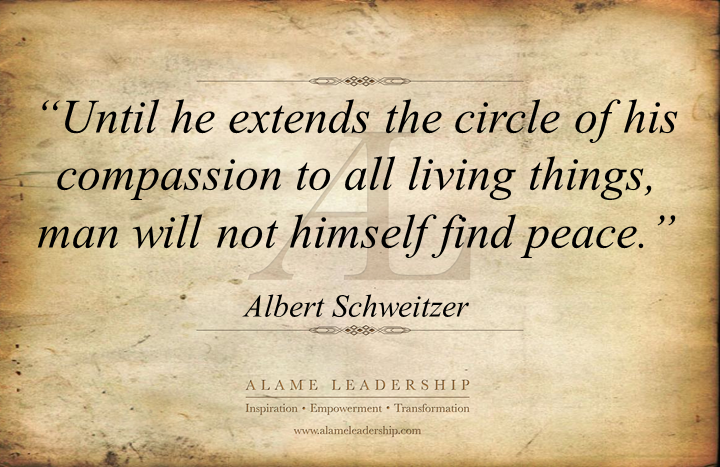 When you are infected by compassion, your life acquires a new meaning. A rare, addictive, peace engulfs you. The capital ‘I’ in your Life loses significance, you stop obsessing with yourself and you start looking at the world, and its beautiful people, around you. That’s how you truly awaken!